Definitely one for the enthusiasts. Also a lot of bricks for the money. 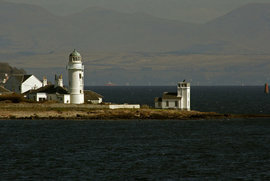 Even better, it is close to the coast and sea. For many this ticks many wish-list boxes. A detached former Station Master’s House and Railway Station. Situated at Penmaenmawr, on the North Wales Coast, between Conwy & Bangor, an area attracting hundreds of thousands of visitors, annually. This solidly built Station House and premises present a blank canvass to the buyer, with endless possibilities, offering 206 m2 (2217 sq ft) of space. Built around 1849, it has a basement, ground and first floors. Constructed with heavy granite stone elevations under a slate roof. 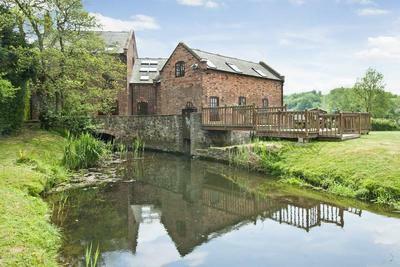 The building is Grade II Listed – though falls outside the Conservation Area. The First Floor has it’s own independent across and is arranged as a 3 bedromed residential apartment with sea views across to Puffin Island, Anglesey and on a clear day as far as the Isle of Man. 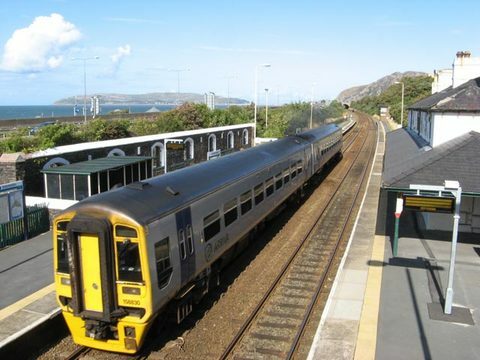 Famously, Prime Minister William Ewart Gladstone was to put Penmaenmawr firmly on the tourist map and in all likelihood actually set foot inside the Station House, possibly on his first visit in 1855. He continued to visit by Penmaenmawr by rail over a period of 40 years, bathing in the sea and walking the Welsh Mountains. To commemorate his visits a Memorial with his bust was constructed in the village in his honour in 1899. Over the years the Station House has seen many changes. Decommissioned by British Rail around 1986, since then it has been used as an Antiques & Reclamation outlet, showroom for a Pine Business, through to it’s current use of workshops and residential. 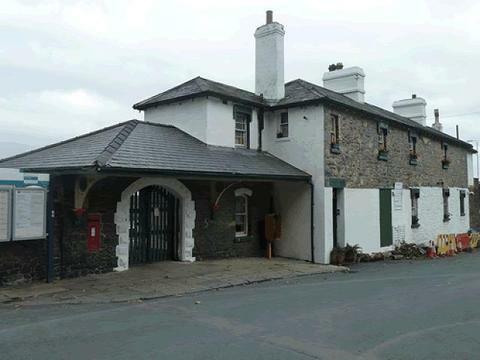 Location: Penmaenmawr Station House, Station Road, Penmaenmawr, Conwy, LL34 6AT. Contact Jacksons Commercial Agencies Tel: 01492 877441. 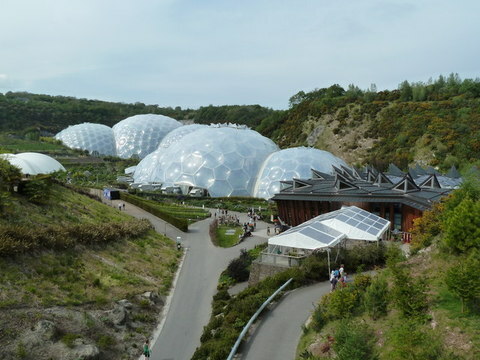 … a favourite holiday destination for those of a unique minded. 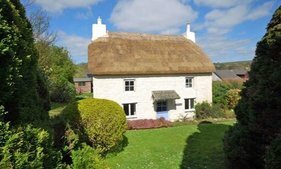 Lakeview Lodge – Agent’s Narrative: This two storey, two bedroom holiday lodge ideally located for the North Cornwall coastline, Bodmin Moor. Sited at Lake View Country Club, it offers many facilities including landscaped grounds, indoor swimming pool, gym, 9 hole golf course, restaurant and bar. For further information on Lakeview Country Club visit …. 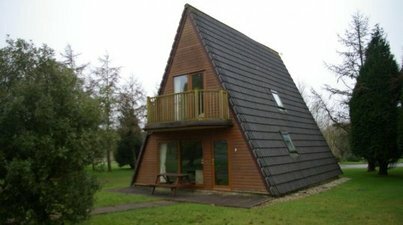 The lodge is subject to a long lease and is likely to appeal to investors wishing for a holiday home with additional onward lettings potential. First Floor: Landing with storage cupboard and airing cupboard, master bedroom with balcony, bath and shower room. Outside: Communal gardens and grounds. Location: Lodge 2, Lakeview Country Club, Old Coach Road, Lanivet, Bodmin, Cornwall, PL30 5JJ. Guide: £40,000 – Auction Date 20 February 2013 – LOT 47. Please remember, if you happen upon this listing AFTER this date, ALWAYS check to see if the property actually sold, or may be still for sale. 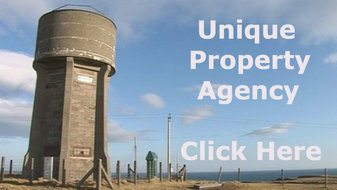 Contact Countrywide Property Auctions Tel: 0870 2414343. Viewing: Miller Countrywide Tel: 01208 77991. At the Unique Property Bulletin a lot of the enjoyment is finding the “before” properties for people to have fun converting. Here is a vacant former filter house with a sizeable 6,400 square feet to play with. There is a planning permission submitted and being due for consideration at Lancaster City Council…. Planning Application Due Diligence: Proposal for change of use permission to convert the Filter House to TWO residential units, each with 4 bedrooms…. 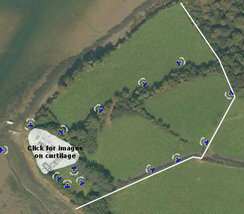 Site Area: Approximately 0.3 Hectares (0.74 Acres). 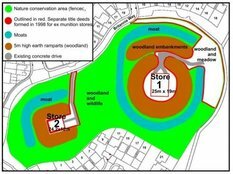 Planning consent was pending, due 12th February 2013, for change of use into 2 residential dwellings with garage and associated landscaping and access, (Application Number 12/01056/CU). Interested parties should consult direct with the Local Planning Office, Lancaster City Council, Town Hall, Dalton Square, Lancaster, LA1 1PJ. Tel: 01524 582 950. 1. Ground condition survey, structural survey for the existing building, environmental noise assessment, scheme drawings ecology & bat survey and a pre-construction information pack . 2. 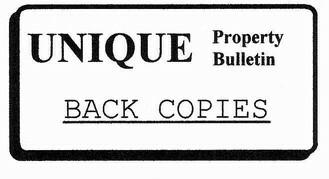 The sale is subject to completion date of 15th March 2013. 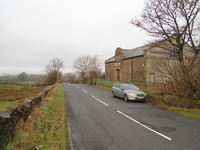 The property is situated in a scenic rural location on Langthwaite Road approximately 2 miles south east of Lancaster city centre. Location: The Old Filter House, Langthwaite Road, Quernmore, Lancashire, LA2 9EB. Guide: £225,000 – Auction Lot 118. Auction Date 28 Feb 2013 at Manchester. Please remember, if you see this listing after the auction sale date, it is frequently worthwhile to enquire whether or not a sale actually went ahead. 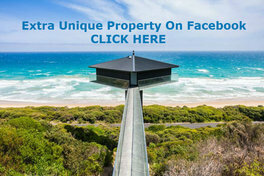 Oftentimes a bargain can be picked up if a property fails-to-sell-at-auction. We know, we have bought several this way. Contact Roy Pugh Auctioneers Tel: 0844 2 722444 . … it can be seen that there may be room to extend modestly if your own requirements need this. The houses nearby in this residential area show the size of plots. 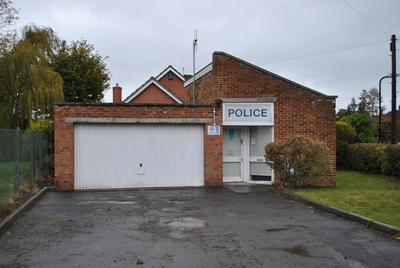 The police station is a little smaller than some, but two things appear reasonable. Firstly the plot area is comparable to other detached houses. Secondly the area is residential so if you wanted to present the local authority with a planning application for change of use to a house, it should stand a fair chance. 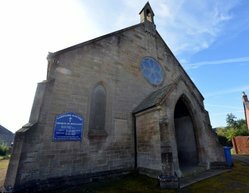 Of course you would be well advised to give them a call before bidding: Hambleton District Council Planning Office, Civic Centre, Stone Cross, Northallerton, North Yorkshire DL6 2UU. Tel: 0845 1211 555. This is a whole other subject which requires a lot of work if High Streets and even village shops are to survive. However, enough of a digression, and back to this old cop shop going fairly cheaply. Auctioneer’s Narrative: The premises fronts Guisborough Road (A173) close to intersection with Linden Avenue and the centre of Great Ayton. Great Ayton lies approximately 7½ miles south of Middlesborough and 1 mile from the North Yorkshire Moor National Park. 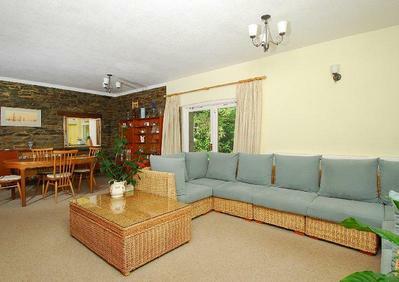 The property comprises a single storey former Police Station of brick construction. The property may have potential for development subject to the necessary consents. 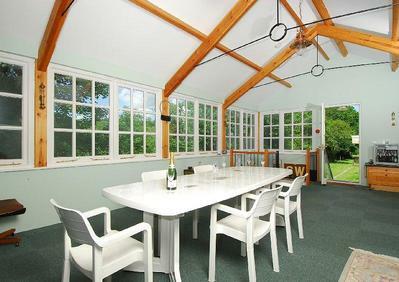 Accommodation: Building – approximately 153 square feet. Site – approximately 2,405 square feet. It would appear from these sizes that an extension is probably needed if some form of residential use is sought. There is a driveway to the front of the property. 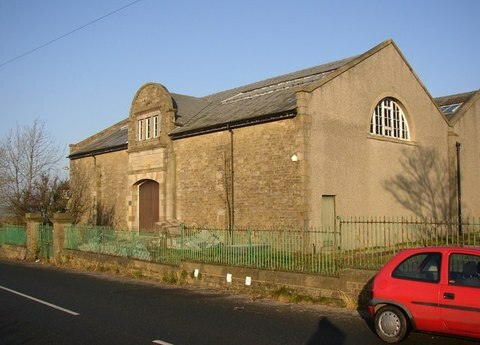 Location: Former Police Station, Guisborough Road, Great Ayton, TS9 6AA. Guide: £55,000 – Auction Lot 52. Auction Date 26 Feb 2013 at Newcastle. Please remember, if you see this listing after the auction sale date to enquire whether or not a sale actually went ahead. Oftentimes a bargain can be picked up if a property fails-to-sell-at-auction. We know, we have bought several this way. Richard Beeching is cursed by many people. In the 1960s the rail network needed reform, but many argued, and the case still endures – Beeching cut too deep – Ian Hislop is a well known advocate on the subject …. Beeching is long gone – having finally departed in 1985! But the railway history and heritage he took that controversial axe to lives on in many forms. Here is one very pleasant example. We started this Bulletin with a bargain railway station in need of some TLC. Then, like a railway train, along comes another station. This one has had plenty of care, and is a delight to alight at. 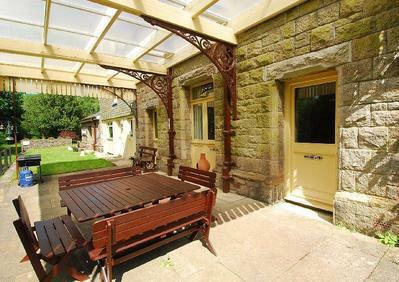 This is a 5 bedroom detached house converted from a former railway station in Devon. 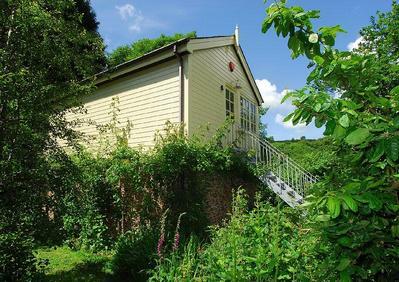 An interesting property full of character, including an iconic signal box annexe housing an indoor ‘endless pool’, sauna and cinema room with garden and woodland extending to just over 3 acres with the benefit of approximately half a mile of trout and salmon fishing on the River Avon. Dating back to 1895 and last in service in 1963, Loddiswell Station has been lovingly refurbished to create a 5-bedroom family home set in tranquil woodlands with a separate signal box annexe split over 3-levels and offering an excellent function room with kitchenette, indoor endless pool, sauna and cinema room. Other outbuildings include a Platelayers Hut that could be used for cream teas, workshop, greenhouse and summerhouse. As well as incredible flora, the property enjoys an immense collection of bird and wild life. Approximately half a mile of private trout and salmon fishing on the neighbouring River Avon with 3 good pools. To the front of Loddiswell Station is a parking area providing parking for numerous cars. Electrically operated gates lead through to a gravelled area with stone path leading to the property. 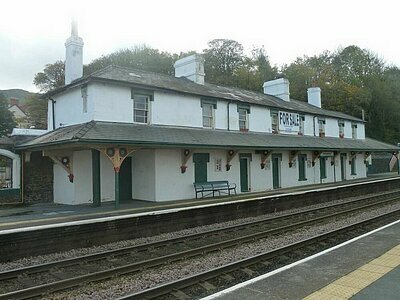 As well as the Signal Box, there is a small stone Platelayers outbuilding with water, power and light. Fitted with work surfaces. Outside lighting. Block built workshop with roller door, potential use as a small stable and tack room, power and light. Cold water tap. Aluminium framed greenhouse. Summerhouse. 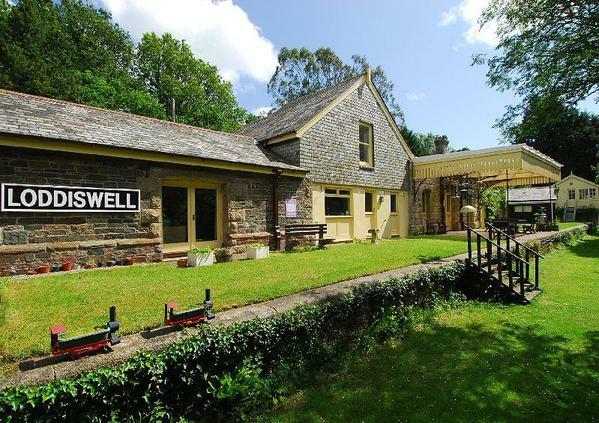 Location: The Old Station, Loddiswell, Station Road, Kingsbridge, Devon, TQ7 4RR. Contact Marchand Petit Agencies Tel: 01548 857588. Radome Anyone – Nuclear Bunker Included ! The Former RAF Neatishead Base (c) 2013 Rock Estates. 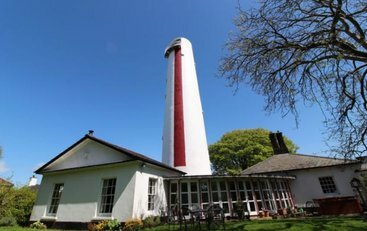 Not too far from RAF Bawdsey the birthplace of Radar we have this former radar base RAF Neatishead for sale. For many, the price may seem on the high side, but many London flats have exceeded the current sale tag on this vast site. General background can be briefly studied at the excellent Subterranea Britannica website …. Although it is worth considering what difference a few hundred miles makes with regard to price. 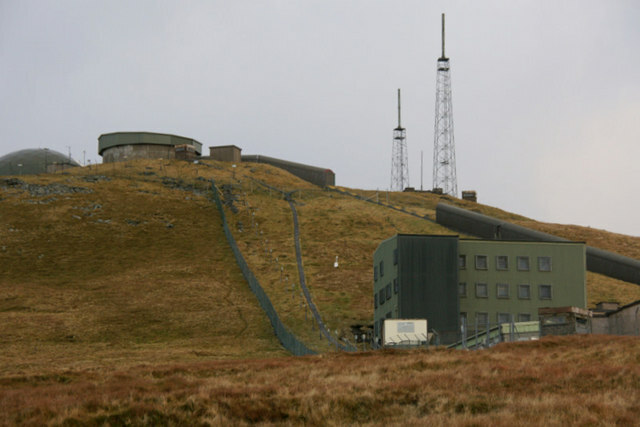 The former RAF Neatishead base is available at £2,500,000, whilst a similar Radomed and Nuclear Bunkered base at the former RAF Saxa Vord went in June last year for an amazing £19,000 …. The Former RAF Saxa Vord (c) 2012 Mike Pennington. 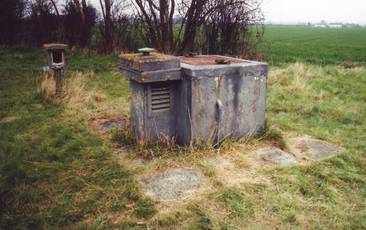 Back to RAF Neatishead – Owners Narrative: Site Area approximately 25½ acres (10.3 hectares). 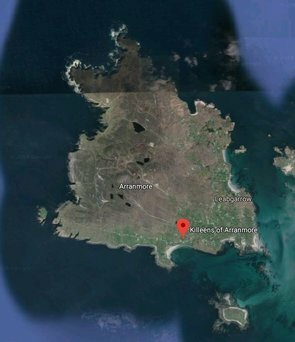 Approximate area 14,627 sq.m. / 157,445 sq.ft. of mixed buildings including several outbuildings & huge under ground space including former radar equipment, building on three floors measuring 58m (max) x 47m (max) – 6,122 sq.m. / 65,873 sq.ft. General Summary: please check to see what is and is not included in order to avoif confusion down the line – reference to red line title plans is important. For example the museum is NOT included in the sale. – Full security and is gated and fenced around the entire perimeter of the site. – Former under ground operations block – 1,935 sq.m. / 20,820 sq.ft. Following a fire in 1966 it was not fully rebuilt and brought back into use until the 1980s and as a result is probably one of the most modern R3 bunkers around. It has a huge new underground section for electrical and other services to the bunker (which makes it probably one of the newest underground military buildings). Images of generic R3 Bunkers …. Technically not nuclear-proof grade ….. The Former RAF Neatishead Radome (c) 2013 Government Licence C2010002126. – Offices – 1,029 sq.m. / 11,071 sq.ft. – Officers Mess – 1,910 sq.m. / 20,560 sq.ft. – Hanger and stores – 1,606 sq.m. / 17,292 sq.ft. The Former RAF Neatishead Base (c) 2013 Government Licence C2010002126. 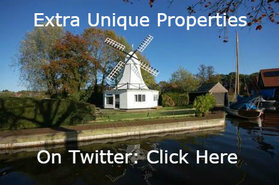 Location: Former RAF Neatishead, Horning, Norfolk, NR12 8YB. Contact Rock Estates Tel: 0845 504 2881. Earlier Ebay auction had an impressive 105,000 views, though no sales. This new Ebay auction is an unusual, but often effective way of selling buildings (we can testify to that). 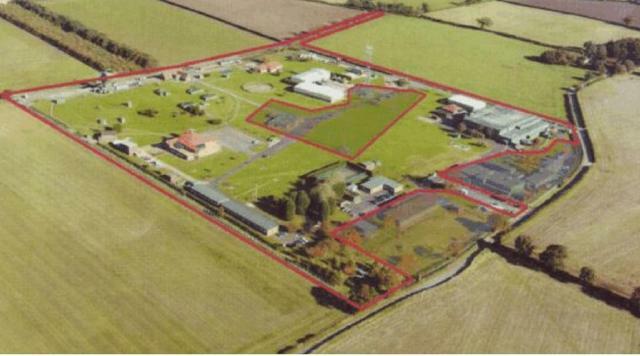 The current Ebay auction for this former RAF base is scheduled to end at around 1800 hours on 18th February 2013. Though with this sort of substantial project, and the building conveyancing system in England, it is likely there will be a fair bit of due diligence to be conducted before someone parts with the price guide. The point being there is unlikely to be an all fired rush. A main point is these things should be studied in detail before any bank transfers are made. That having been pointed out, this is one very interesting site which compares very favourably in price and value for money to pieces of real estate not that far away in London. This tidy 5 Bedroom, 5 Bathroom converted Mill House at Croft Hill Road, Huncote, Leicester, LE9 3GR has had a nice price reduction from over a million down to £950,000. Further details, please call James Abbott as Strutt & Parker on 01858 438710.